Twice as Many Corporations Paying No Taxes Under Trump’s New Laws! The Institute on Taxation and Economic Policy has just issued a study stating that President Donald Trump’s new tax law aided corporations so radically that twice as many companies paid no federal taxes whatsoever in 2018. despite billions of dollars in profit, according to the new study. As reported by Bloomberg and The Huffington Post. The study found that 60 of some of the largest publicly held companies paid no taxes — compared with an average of about 30 each year from 2008 to 2015, before Trump and congressional Republicans passed the tax law that took effect in 2018. The measure heavily favors corporations and the wealthy. Companies such as Amazon, Netflix, Chevron, Eli Lilly, Delta Airlines, General Motors, IBM and Goodyear were among the tax-free corporate titans. What a fiscal mess Trump has gotten the country into. New York State Officials Threaten Lawsuit over EPA Sign Off on General Electric’s PCB Cleanup in the Hudson River! New York State officials ripped the Trump Administration after federal environmental officials signed off on General Electric’s clean-up of PCB-tainted Hudson River sediment, with Gov. Andrew Cuomo announcing plans for a lawsuit over the decision. For those of us who live in New York, the Hudson River is one America’s remarkable waterways that was contaminated for decades by factories along its shores. G.E. was a major polluter and legally fought any attempts by state and local governments to assume any responsibility for the damage done. In 2005, G.E. agreed to dredge millions of yards of silt containing PCBs and other carcinogens. The question is whether the dredging was enough. According to the New York State Department of Environmental Conservation, the answers is no. G.E. is admired in some corporate circles but along the Hudson it is despised by many for what it did to our waterway. Julian Assange Was Dragged Kicking and Screaming During His Arrest at the Equadorean Embassy in London- Now What? The following analyis is provided by the New York Times editorial staff. 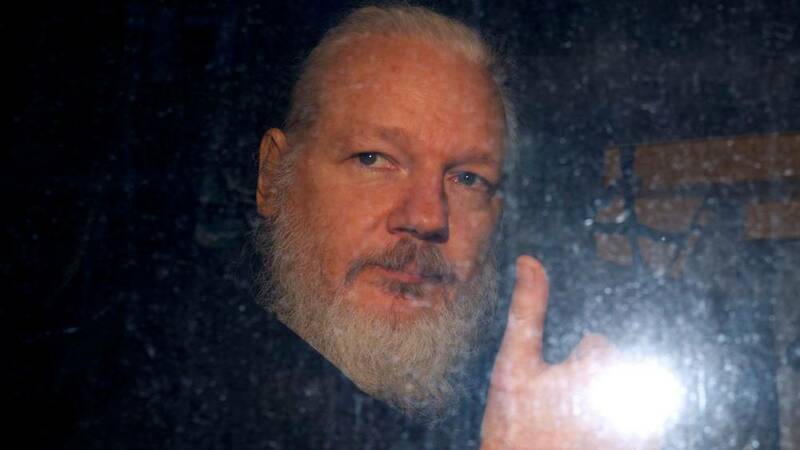 “The arrest in London of the WikiLeaks founder Julian Assange ends one bizarre saga, but opens a legal drama that is likely to stretch over many years and could probe uncharted areas of press freedoms and national security in the United States in the digital era. There is good reason to be watchful as the case unfolds. This will indeed be a case that will be followed for years to come! 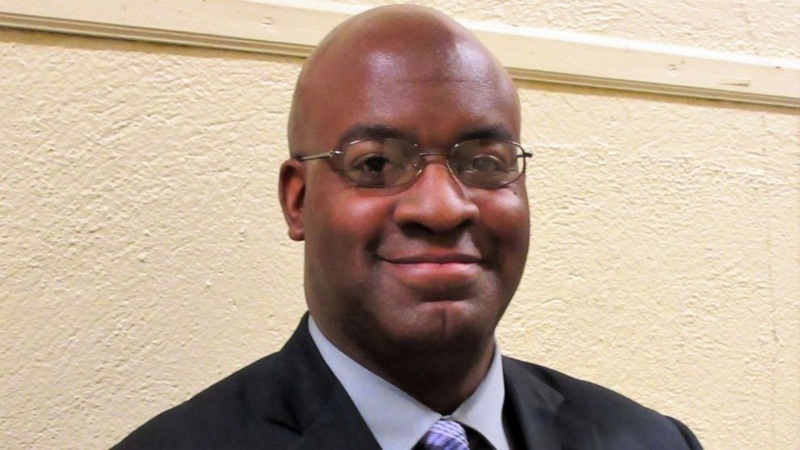 Arrest Made of Arsonist Who Burned Down Black Churches in Louisiana! “While the victims prayed for the soul of the arsonist who burned down their houses of worship, investigators rushed to assemble clues, worried the assailant would strike again. Congratulations to the authorities for taking quick action on these crimes. And may the communities where the burnings took place find comfort in knowing that they can worship without fear. New Jersey High School Principal Derrick Nelson Dies Donating Bone Marrow! What a role model for his students and his community! Video: Scientists Explain First-Ever Photograph of a Black Hole! Yesterday scientists revealed the first ever photograph of a blackhole. The image itself (below)looks essentially like an orange blob, however, the effort that went into taking the photograph was incredible. The video above has scientists explaining the Event Horizon Project which took ten years to develop and which synchronized eight telescopes from around the world. Higher Education Has Been Left Behind Since the Great Recession in Many States! The Chronicle of Higher Education is reporting that after five straight years of growth in state support, nationally there was no change in state and local per student support for higher education. Citing the 2018 “State Higher Education Finance” report, state appropriations per student remained essentially flat from the 2017 to 2018 fiscal years. In 11 states, higher-education appropriations have not recovered at all from the worst years of the Great Recession, according to the report released on Tuesday by the association of State Higher Education Executive Officers. As reported. “Tuition revenue, which had risen in all but two of the past 25 years, also remained flat compared with the previous fiscal year, the report said. State spending on student financial aid increased by nearly 9 percent, the fourth consecutive increase, according to the study. 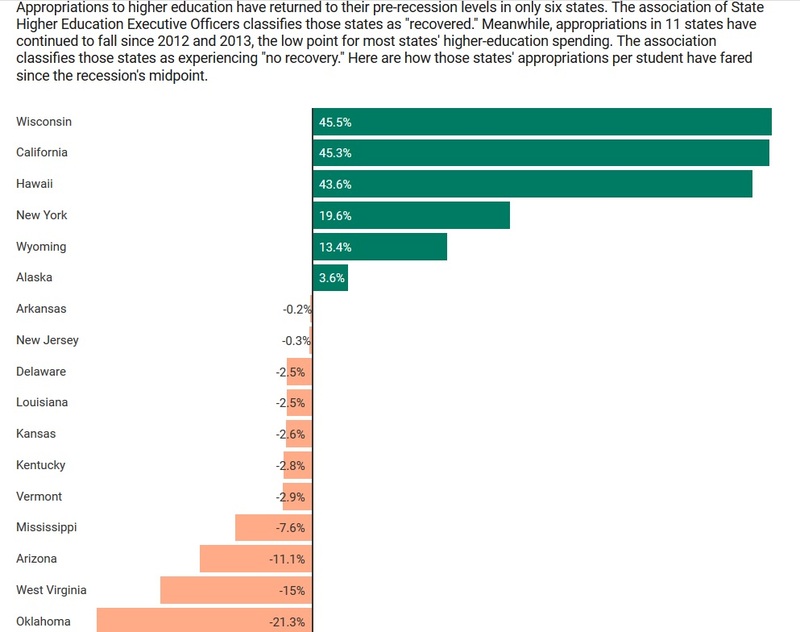 The situation is far worse in more than a fifth of states, where appropriations per student are still less than they were in 2012 or 2013, the low point for most state budgets. That’s after federal dollars — part of the $54-billion that went to states to avoid cuts in education spending — ran out, creating a fiscal cliff for public colleges. The states where per-student spending still has not rebounded are Arizona, Arkansas, Delaware, Kansas, Louisiana, Mississippi, New Jersey, Ohio, Oklahoma, Vermont, and West Virginia. New York City Department of Education Announces $7,500 Salary Differentials for Teachers in Hard-to-Staff Schools! Yesterday the New York City Department of Education released its plan to pay salary differentials in hard-to-staff schools. Essentially staff with specific titles at 60 historically under-served schools in the Bronx, Brooklyn, and Queens will receive an additional $7,200 in salary for the upcoming school year. Titles include bilingual teachers, bilingual special education teachers, bilingual guidance counselors, bilingual social workers, and bilingual school psychologists; and middle and high school science and math teachers. The $7,200 “hard-to-staff” salary differential is part of the Mayor and Chancellor’s Bronx Plan. The plan is named to reflect the challenges many Bronx schools face, and adds resources to improve teacher retention and recruitment, reduce teacher vacancies and teacher turnover. The differential is available at 50 previously announced Collaborative Schools, and ten Bronx District 75 schools. The complete announcement including the schools in the plan is below. Thank you to Maryann Polesinelli for passing this on to me. NEW YORK –Schools Chancellor Richard A. Carranza today announced that staff with specific titles at 60 historically underserved schools in the Bronx, Brooklyn, and Queens will receive an additional $7,200 in salary for the upcoming school year. Titles include bilingual teachers, bilingual special education teachers, bilingual guidance counselors, bilingual social workers, and bilingual school psychologists; and middle and high school science and math teachers. The Bronx Plan, launched in October 2018 as part of the UFT contract agreement, will support a total of up to 180 historically underserved schools citywide, with an additional 120 Collaborative Schools and Hard-to-Staff Only schools to join the initiative next year. Through collaborative decision-making, teachers and principals will create specific solutions tailored to the needs of their school communities to increase student achievement. The hard-to-staff differential will apply to educators who are hired or retained this spring to work at Bronx Plan schools in 2019-20. Current staff, new hires and transfers are eligible for the salary differential, which will be paid out over three equal payments with the final payment in 2020-21, to incentivize continued retention. In ten District 75 Schools in the Bronx, Bilingual Special Education Teachers will be eligible. This represents a majority of the District 75 Schools in the Bronx. Bilingual Guidance Counselors, Bilingual School Psychologists, and Bilingual Speech Teachers in district-based positions in the Bronx are also eligible. These staff work for School Districts 7-12 or 75, and support multiple schools. U.S. Congressman Clay Higgins from Louisiana has urged anyone responsible for burning down three predominantly black churches in the state to come forward, as state and federal authorities investigate what appears to have been coordinated arson. Authorities said last week they had found suspicious “patterns” among fires that burned down three churches between March 26 and April 4 in St. Landry Parish, about 100 miles (160 km) northwest of New Orleans. Congressman Higgins, a Republican, who represents a district that includes St. Landry Parish, stood in front of the rubble of St. Mary’s Baptist Church and addressed the arsonist he presumed was behind the fires. Authorities declined to say whether arson was to blame for the church fires at a news conference on Saturday, but local media reported that Butch Browning, the state fire marshal, had told parishioners on Sunday that his office was treating the fires as criminal activity and would find whoever was responsible. 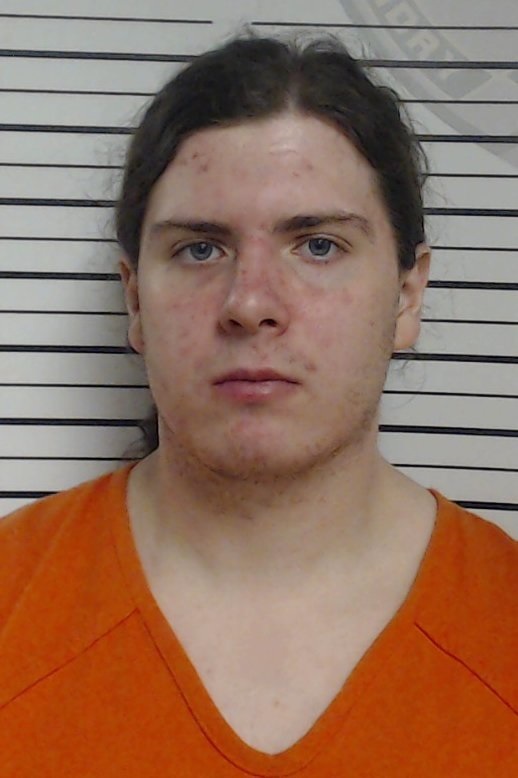 The FBI and U.S. Bureau of Alcohol, Tobacco, Firearms and Explosives (ATF) have joined local authorities in the investigation, bringing the number of people involved up to 200, The Daily Advertiser reported on Monday. The, FBI, ATF and the Louisiana Office of State Fire Marshal did not immediately respond to a request for comment on Monday. 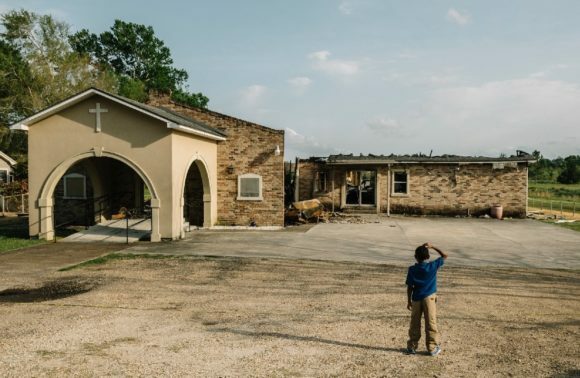 The fires destroyed St. Mary Baptist Church in the community of Port Barre, and Greater Union Baptist Church and Mount Pleasant Baptist Church in Opelousas, the seat of the parish, the Louisiana equivalent to a county. All the churches have mostly black congregants, raising authorities’ suspicion that the fires could have been racially motivated hate crimes. “He is the great reputation killer,…” Toobin said. Pennsylvania Avenue is lined with the career corpses of the dozens of people who have worked for Donald Trump. He is a user and could not care less about human decency or loyalty when it comes to the people who have worked for him in government.